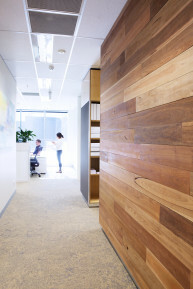 Linear have continued our national relationship with the completion of MWH’s Brisbane office. 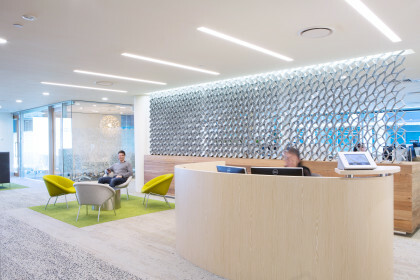 The design solution is one that aligns with MWH’s global values & objectives whilst still closely connecting with the local Brisbane culture. 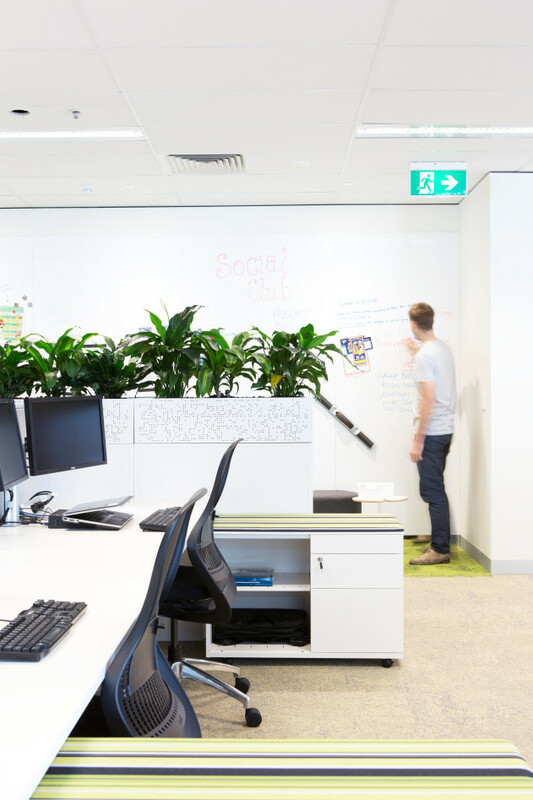 The key differentiators for this workplace were to reflect a real Brisbane feel – that is, a strong connection to the environment, support a sporty and active culture and embrace that at the core of it, our people are “ greenies”. 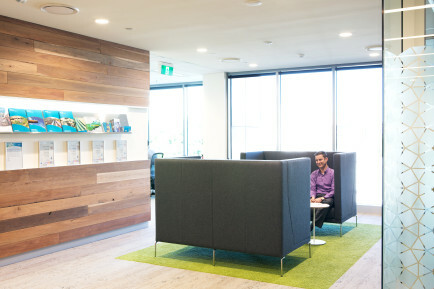 The design elements of the national design are evident, but the colour palette is warmer & inspired by the colours and textures of the tropical rainforest – the warm golden tones set amongst the vibrant greens, and richness of coastal spotted gum. Plants feature heavily as does environmentally responsible choices in materials.